Home > Fashion > [Saks OFF 5th] The Designer Event is happening online now! 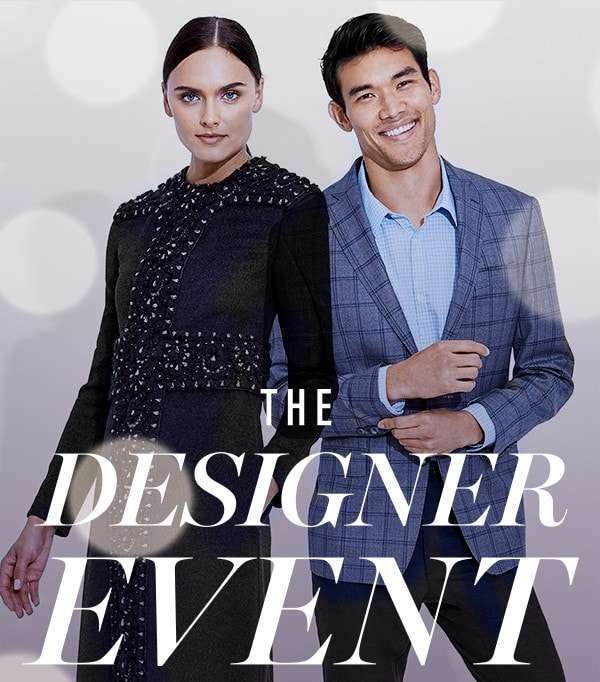 [Saks OFF 5th] The Designer Event is happening online now! This offer is not valid at Saks OFF 5TH Auburn Hills, Leesburg, Mercedes and Santa Barbara store locations. +Free Shipping offer valid with qualified purchases. See site for details. Offer valid at saksoff5th.com only. Offer not valid in Saks Fifth Avenue stores, Saks Fifth Avenue OFF 5TH stores and saks.com. Offer valid on shipments to U.S. addresses only. International orders do not qualify for Free Shipping promotions. Offer not valid on Rush, Next Business Day, or Saturday delivery orders. The saksoff5th.com return policy still applies to items returned under this offer. This offer is non-transferable. No adjustments to prior purchases. *Offer valid at saksoff5th.com only. Total savings off market price. The Market Price is the regular price at which we've normally sold that item or, if we have not previously sold an item, the price at which that item (or a comparable item) is normally sold in the market. Enter code DESIGNER at checkout to receive offer. Exclusions apply. See site for details. Offer valid now through NOVEMBER 13, 2018. **Customer must have a valid More! account and log-in to receive discount. More! Free Discount Program is valid at Saks Fifth Avenue OFF 5TH stores and saksoff5th.com only. International orders do not qualify for More! Member offers. No purchase necessary to join the More! program. Offer valid now through NOVEMBER 13, 2018. Online, all offers listed are not extra discounts, but reflect reductions already taken. Limit of 5 promo codes per order. All offers exclude Extraordinary Value Merchandise. Extraordinary Value Merchandise is specially priced merchandise called out online. No adjustments to prior purchases. Additional exclusions may apply. See site for details. In store, discount applied to lowest ticketed price. All offers exclude Extraordinary Value Merchandise. Extraordinary Value Merchandise is specially priced merchandise highlighted by special in-store signage. No adjustments to prior purchases. Additional exclusions may apply. Visit a store for details. Featured offers are valid at saksoff5th.com and Saks Fifth Avenue OFF 5TH stores in the U.S. only. Bergen Town Center location closed on Sunday. Selection and pricing may vary in stores and online. The saksoff5th.com return policy applies to any items returned under featured offers. 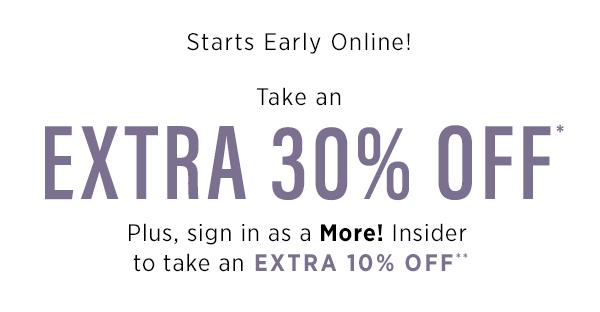 Returns on saksoff5th.com must be made within 30 days of purchase by mail or in-store. Final Sale Merchandise cannot be returned. Final Sale status is noted on product detail pages and at checkout. To join the More! Insider discount program, you must create a saksoff5th.com account. This is a one-time sign-up that automatically enrolls you for More! benefits and makes you eligible for discounts both online and in our stores. Enrollment in the More! program constitutes acceptance of all published More! member benefits. See site for details. Next: [MyProtein] ️ Last Chance for Deepavali Deals!